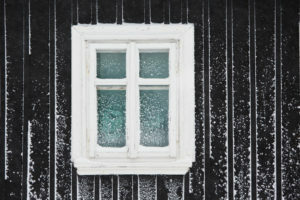 Cold weather can bring on many plumbing and heating issues. One of the biggest concerns people have is about frozen pipes. If your pipes freeze, it will expand and could crack if you don’t thaw it out in time. The pipe will continue expanding the longer it is frozen. The best thing to do is try and avoid this situation. If the weather is forecasted to be cold for a long stretch of time, do some preventative work. Here are the most important things you can do to prevent a major issue in the winter. Keep a faucet running. If you have pipes that are exposed to outside temperatures, turn on the faucet and let it run. Just a small amount of water can keep the line from freezing completely. Open Cabinet Doors to let warmer air circulate in places like your bathroom or kitchen. Especially if the pipes are on an outside wall. Check for and Eliminate Drafts. Especially in areas of your home or garage that are unheated. Pour salt in any tub drains. Especially drains that are over overhangs on your house. This will keep the drains from freezing. If you do have a plumbing or heating emergency, you may need professional help. Call us at 888-527-1475. We service all of Camden, Gloucester and Burlington Counties in New Jersey. What do you do if you see a ripple on your ceiling? →← Your main water shut off valve and what you need to know about it.